Here's something we see pretty regularly here: A tenant comes in and says something like, "I have a lease for a year, and I'd like to stay on. How do I get my landlord to tell me if they're renewing?" Or, similarly, a landlord will say something like, "my tenant hasn't responded to my notice about renewing. How do I find out if they're staying or not?" 1. If you have a lease with a term (i.e., a year long lease, a 9 month lease, any defined period of time), where beginning dates and end dates on the lease are written down, then notice is NOT required, from neither the tenant or the landlord, unless your lease says otherwise. If your lease says that notice is required on a term lease, then go here to learn more, because it might not be enforceable. The notice has to be at least 28* days notice - it can't be shorter, but longer notice can be given and can be required (see the last bullet, below). If the notice gives less than the correct number of days (i.e., only 22 days instead of the full 28*), then the notice is still valid, but just postponed until the end of the next rental period where the correct number of days (or more) have passed. (If a tenant gives incorrect notice to the landlord, and then they move out instead of waiting until the time has passed, then it's more like breaking their lease, with the mitigation requirements on the landlord. See our Ending Your Lease page for more info). An example might be: Rent is due on the first of each month, and there was nothing in the original agreement about length of time required to end the lease. Tenant writes the landlord a letter, and sends it on the 30th of June, ending the lease the 31st of July. Landlord receives that notice by July 2, and tenant moves out before the month is over. At least 28* days' notice was given, and the contract is complete. If your lease has language requiring more than 28 days notice, then that is enforceable! Wis. Stat. 704.19(2)(a)1 says that 28 days' notice is required, unless another method is agreed upon by "clear and convincing proof," which can often be established by an agreement that everyone signed, such as an expired lease. Look for the *asterisk above and replace it with whatever amount of time is required in your lease, if this is your situation. In a situation where a lease requires the tenant to give more than 28 days notice, but says nothing of the landlord's obligations, then the landlord probably has to give 28 days notice, and the tenant has to give whatever is specified in the lease. 3. If you have a lease that expired a while ago, but you still pay on a monthly basis, then you're a month to month tenant. (Yay! Now you know what you are!) More information on becoming a tenant through lapsed leases is here. To end the agreement, then written notice IS required, from both the landlord and the tenant. Follow the steps in #2 above for ending a month to month tenancy. Since there is no rental period for tenancies at will (one of the hallmarks of tenancies at will is that payment occurs pretty randomly), notice can be given at any point, as long as there are enough days in the notice. An example: The tenant pays the landlord by buying groceries here and there, and the landlord wants the arrangement to end, and the tenant to leave. So, landlord gives 28* days written notice to the tenant, and once that notice is up, the tenancy is over. An Example: There is a year long lease from April 1, 2014 - May 31, 2015, which automatically renews if the tenant fails to give at least 45 days' written notice to end the lease, before the end date of the lease. Wis. Stat. 704.15 says that a landlord must give written notice to the tenant within 15-30 days before when the tenant's non-renewal notice is due, informing the tenant of their right to stop the automatic renewal process. (In our example, 45 days before May 31, 2015 is April 16, 2015, meaning that a tenant would need to send a letter to the landlord by April 16. The landlord, in order to comply with this automatic renewal law, would need to send notice to the tenant sometime exactly between March 17 - April 1, to remind them about the automatic renewal and their option to end the lease). If the landlord does not send the automatic renewal letter to the tenant in the appropriate time frame, the automatic renewal is not enforceable, and it's not entirely clear what the lease becomes. Odds are best that it becomes a month to month tenancy and that those involved should follow steps in #2, above. Automatic Renewals: As explained above, a landlord has to inform a tenant in writing when the automatic renewal clause is about to take effect. See #5 above. Sometimes a landlord will write to ask a tenant to let them know about their plans, or a tenant will wish to know if the landlord plans to allow them to stay. It's usually in everyone's best interest to be a good communicator - landlords will re-rent a unit if they think a tenant doesn't plan to renew, and tenants will find alternative housing if they think a landlord doesn't plan to renew. Lack of communication leaves almost everyone frustrated, but isn't illegal. 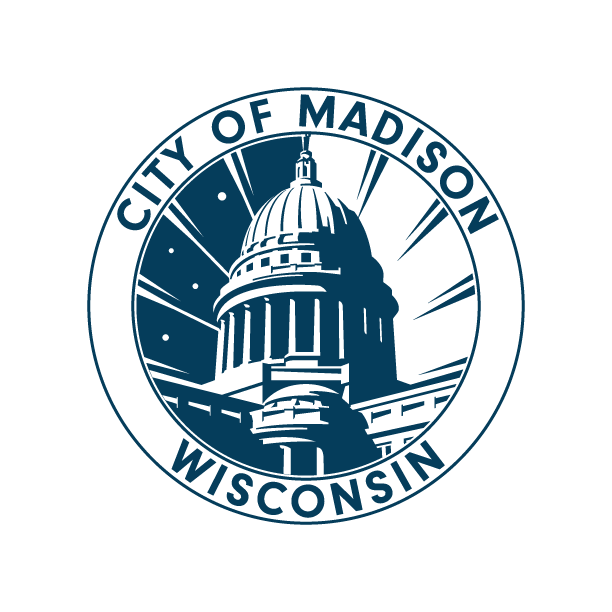 History Lesson: Once upon a time, the City of Madison had a law that landlords had to wait until a lease was 25% completed before being able to show the apartment to prospective tenants or sign a new lease for the unit. So, if you signed a lease on August 1 for a year, a renewal couldn't be sent until December 1. That changed with the passing of 2011 Wisconsin Act 108, and since that point, there haven't been restrictions anywhere in Wisconsin about when a landlord may solicit a renewal from a tenant.